There are many ways of getting around on MapleStory2. Walking, crawling, swimming or even flying. And that’s not forgetting the variety of mounts you can ride on. But what do you do if you need to get from A to B even quicker? In this useful guide, we’ll talk you through fast travel and how you can access it. Plus, why not check out more guides and updates on MapleStory2 right here at Pwrdown! 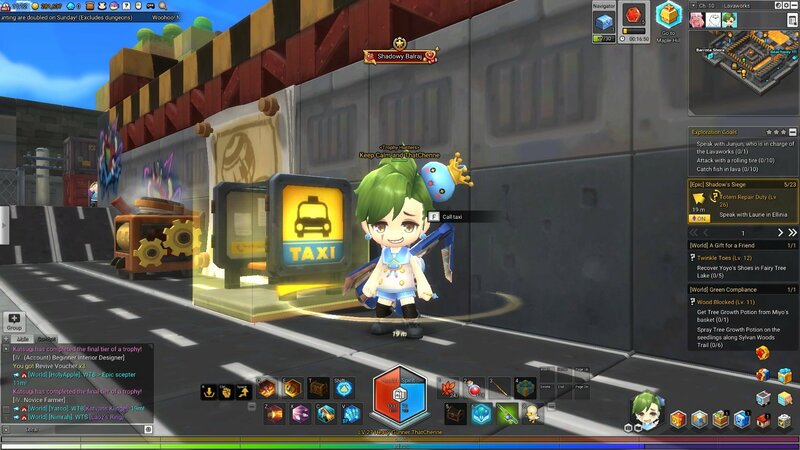 Maplestory 2 offers two forms of quick travel to help you get around. They are the Helicopter and the Taxi. both offer quick passage to various parts of the map but they work in different ways. As you explore new areas, you’ll unlock taxi stops where they are available. This then gives you the option to travel to other stops you’ve discovered. There is a small fee for using these, and you can find out the cost by hovering over the taxi symbol on the map. However, if you need to travel to an area without a stop, or somewhere you haven’t discovered yet. This is where the helicopter steps in. It offers you passage to any part of the world, again at a cost. However, if you want to travel to a part of the map you haven’t found yet, this will cost Merets. This form of currency can be bought on the store using real-world currency. So now you know how to quick travel, no location is out of reach! Go explore and have fun!